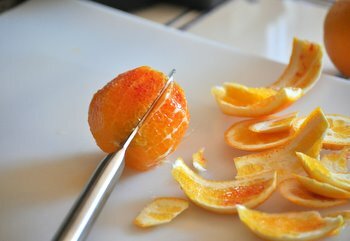 Orange slices make a delicious addition to salads, fruit compotes and even to baked goods, but the membrane that makes oranges easy to peel and section by hand can make a tough addition to any of these sweet dishes. Generally, the best way to prepare an orange to go into a dish is to supreme it. 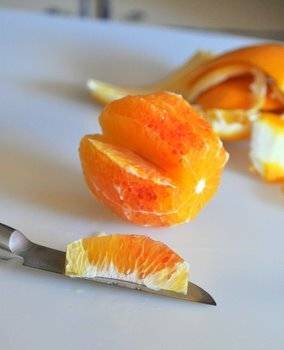 Supreming an orange, sometimes described as sectioning an orange, is when you cut an orange (or other citrus fruit) down to its most tender and jewel-like segments. It is easy to do and all you need to get started is a very sharp paring knife. 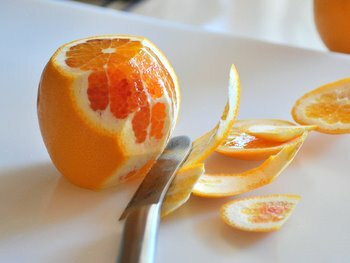 Start by removing about 1/2 inch from the top and bottom of your orange. You want to reveal the fruit beneath the peel and you don’t want to cut away too much of the fruit, so the exact size of your rounds will vary based on the size of your fruit. Working carefully, cut away all of the peel and pith from the fruit. Note the thin, white membranes that divide up the orange. They should be easy to see once the peel has been completely removed from the fruit (I used a blood orange for this demo). 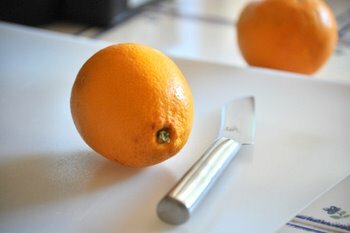 Insert your knife as close to that membrane as possible and make a slice parallel to it, right to the center of the orange. Find the membrane on the other side of that orange section and make another slice down to the center of the orange. 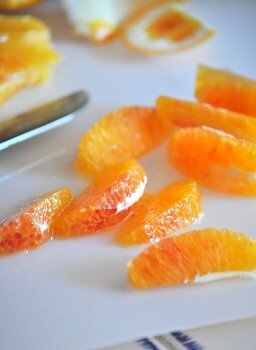 You should be left with a tender, juicy orange segment. A sharp knife makes this process go much more quickly and results in much cleaner slices. Continue supreming the orange, slicing on either side of each and every membrane on the orange. Use the segments in fruit salads or anything else you can think of. Don’t worry if you get a bit of membrane here and there on one of the slices. I left a bit on the slice below to show the difference between a membrane-free segment and one with membrane still attached. You can always trim that off later, and the more you practice, the quicker and better you’ll be at supreming oranges. Thanks for the helpful tutorial. 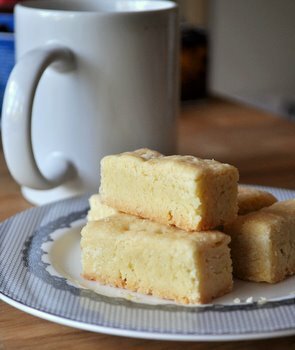 I’d never thought to try this myself as it seems like a lot of work but you’re right that you end up with the nicest, juiciest bits as your reward. 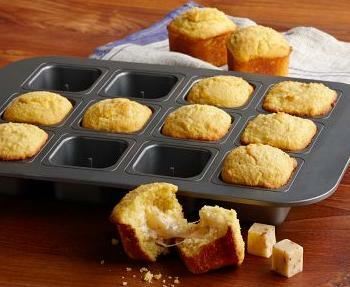 I always see them do this on Iron Chef and have usually opted not to attempt it for fear of losing a finger :). Thanks for the tips, I think I see a fruit salad in my future :).